A fiduciary is a person acting officially as an agent in a relationship of trust who has the responsibility of acting on behalf of the beneficiary within the established fiduciary purpose. In estate planning, fiduciaries include an agent under a power of attorney, an executor, a guardian, and a trustee. When you have established the fiduciary relationship, the fiduciary is a responsible for carrying out your instructions and acting in the best interests of you and your named beneficiaries. 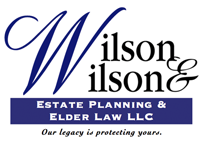 We at Wilson & Wilson Estate Planning & Elder Law LLC act as a fiduciary for many of our client's trusts. Start the conversation with us, please call 708-482-7090.